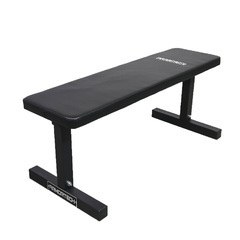 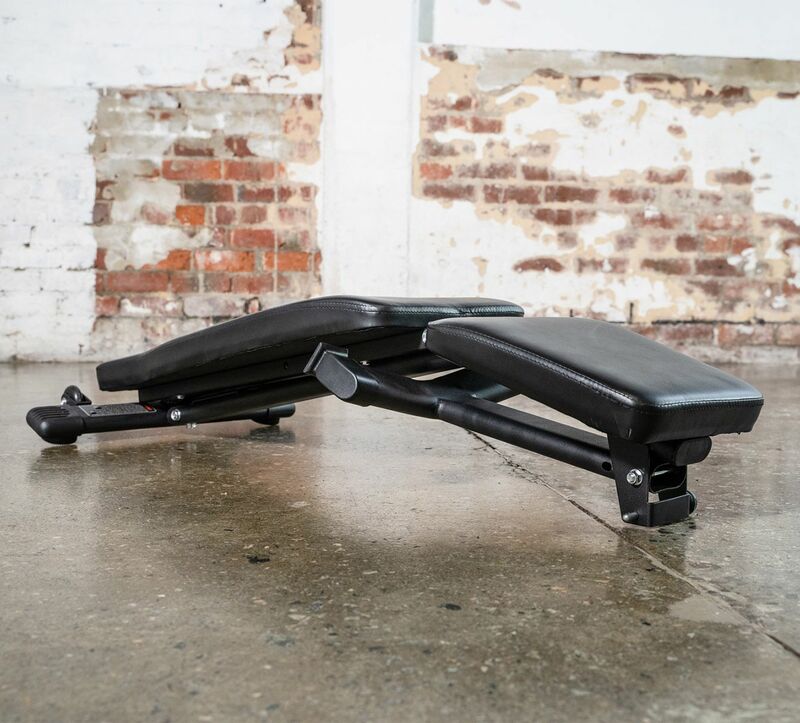 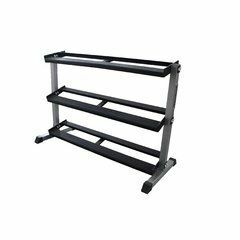 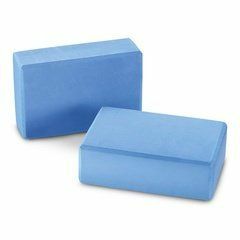 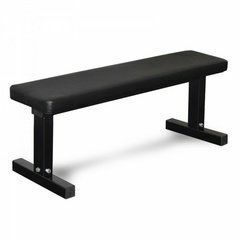 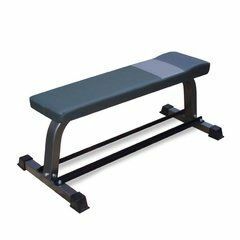 A compact and affordable bench which can easily be folded flat for convenient storage when not in use. 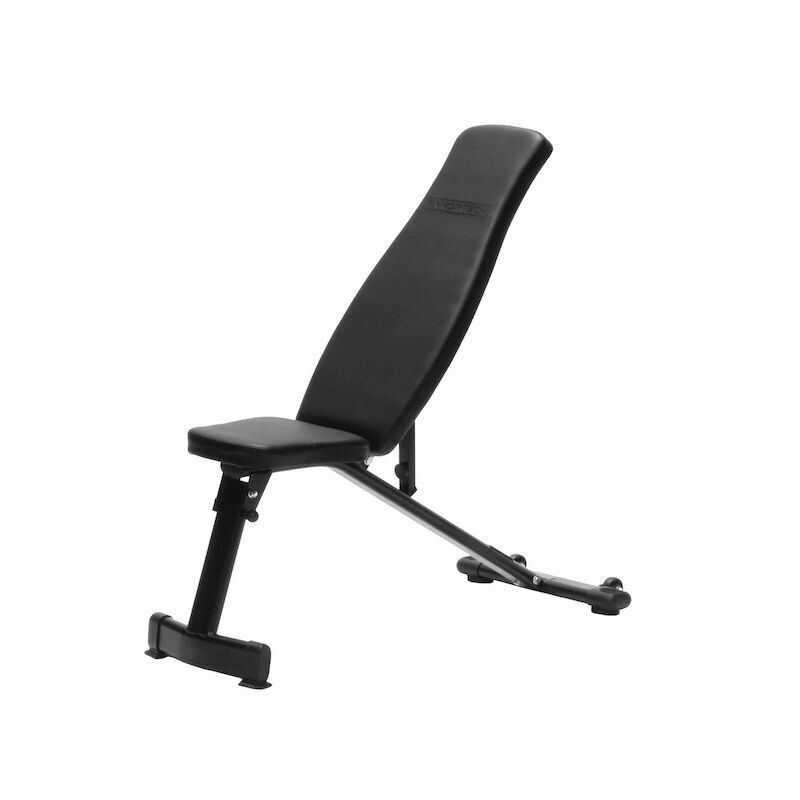 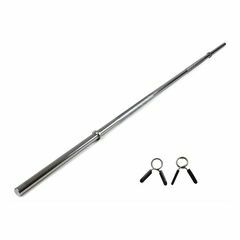 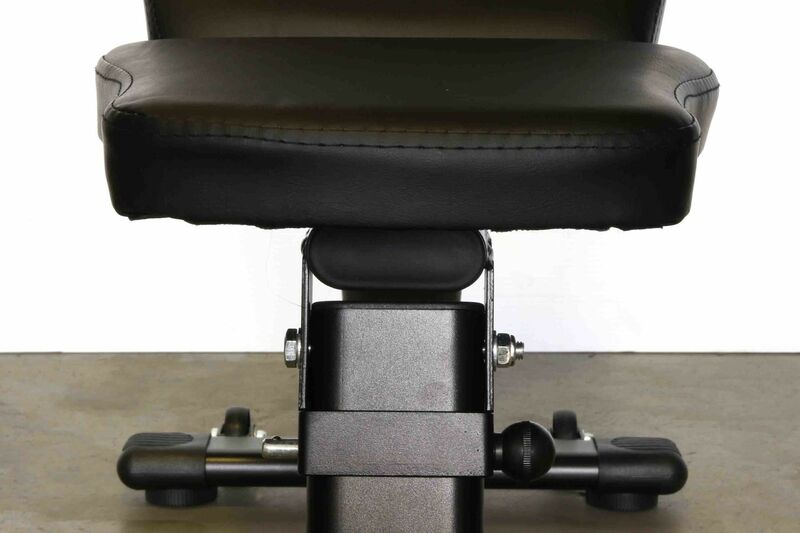 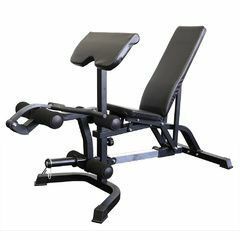 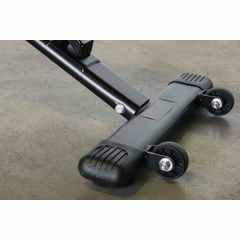 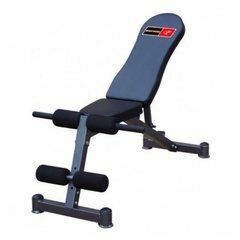 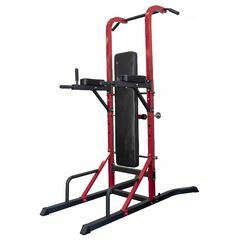 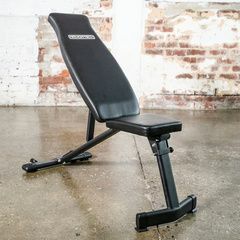 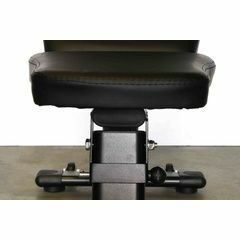 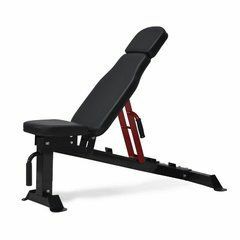 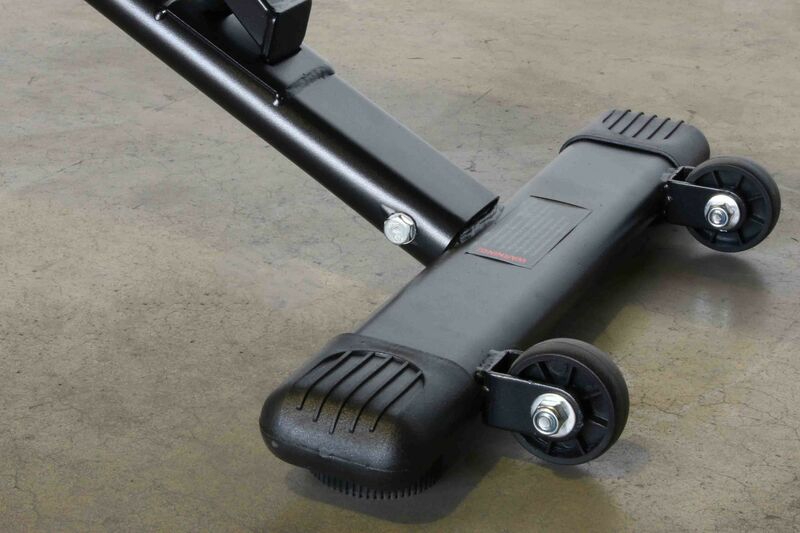 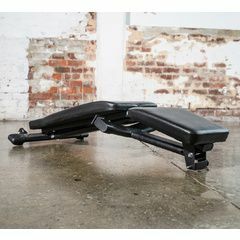 Perform multiple workouts including flat and incline bench press, military press, bent over rows. 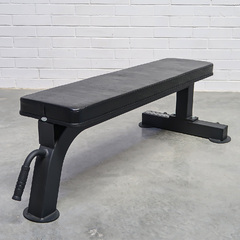 Once finished, tuck away your bench neatly against the wall or under the bed.